If you are hunting for vistas and roads less travelled, hike on the nearby Mount Meru may be a good idea. But then again, you would not see the famous “Snows of Kilimanjaro”… The choice is difficult. At 5,895 m (19,341 ft) this magnificent triple volcano (with the cones Kibo, Mawenzi, and Shira) is fairly high and no matter what route you choose, it will take you up in a comparatively short period of time: 5 – 7 days. Elevation gain unheard of in the Himalayas. Purely from the acclimatization perspective: do yourself a favour, take a longer route. 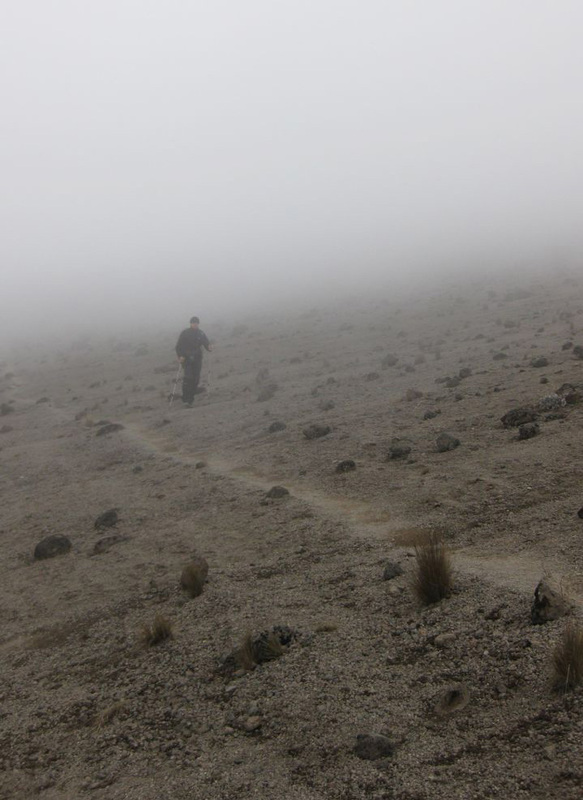 The trekking routes are non-technical, but poor acclimatization is a deal breaker here and altitude sickness is very common. If you are with a group, the group’s schedule will be a pressure and will not allow you an extra camping day for better acclimatization. It may be managed by having a “private party” trip for your friends only, even if it is just 2 of you. (By law you cannot go up on your own). Surprisingly, the “custom” trips not necessarily are much more expensive. Another thing to consider when choosing a route is scenery. You would like to circumnavigate the mountain, to see it from different sides, thus your track up and your track down should differ. My personal preference = the Machame route up and the Mweka Route or the Marangu Route down. This combination allows you to almost circumnavigate the mountain and enjoy most varied scenery. The Shira / Lemosho route is a good option as well, gentle on acclimatization but may get a bit boring scenerywise, because an extra day you spend on the high plateau is quite monotonous for eye. No matter which route you choose, you want to go during dry months, which are from December to February or from July to September (somewhat colder).